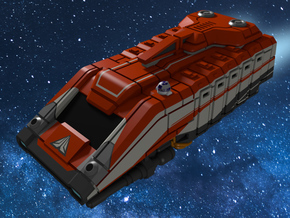 This vehicle is designed to skim along the surfaces of planets, and is equipped with aerodynamic flaps to provide exceptional maneuverability. 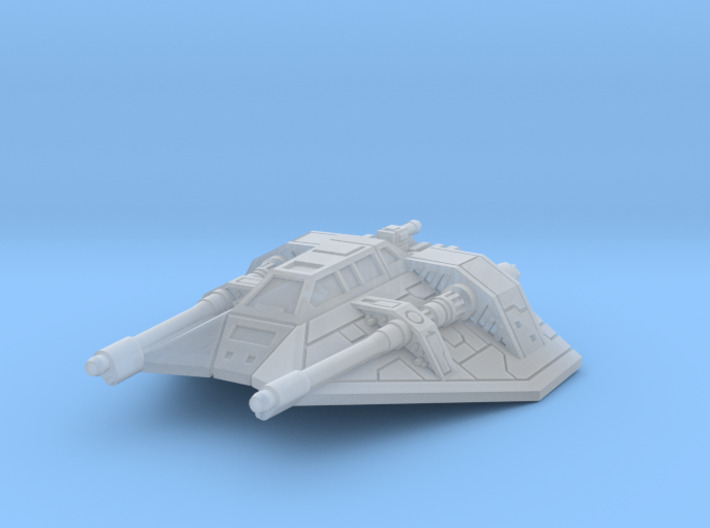 This 3D model is created from scratch by me, and has incredibly high detail, especially considering its compact scale. 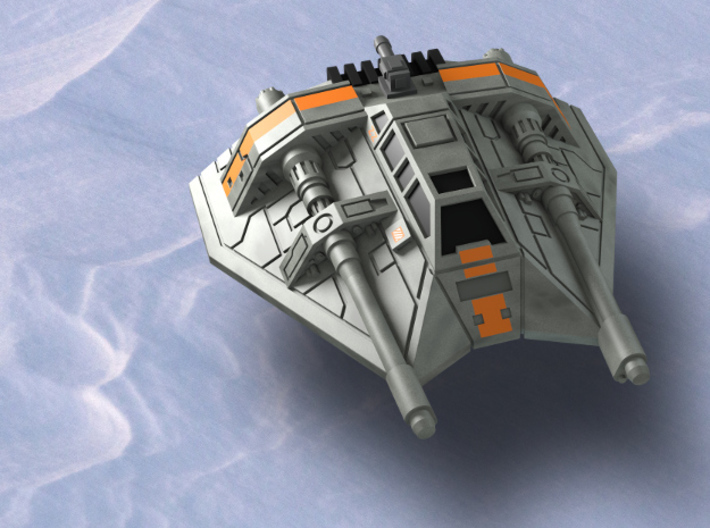 Intricate detail has been built into the model everywhere, from the laser blasters, engine vent fins, and cockpit windows, down to the panel lines. 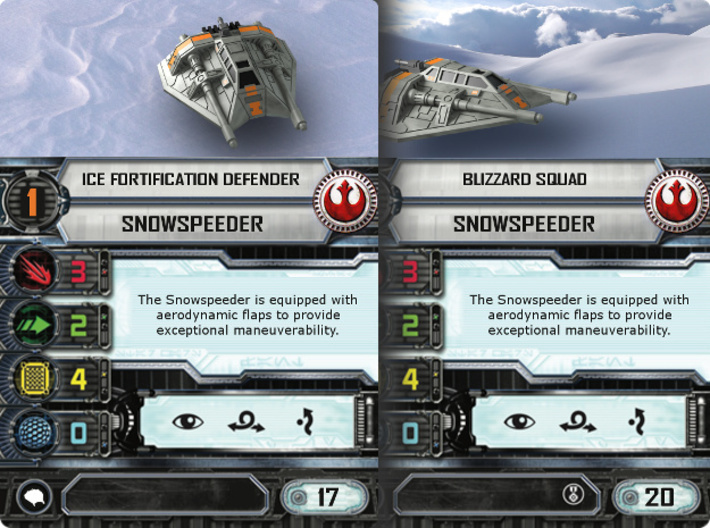 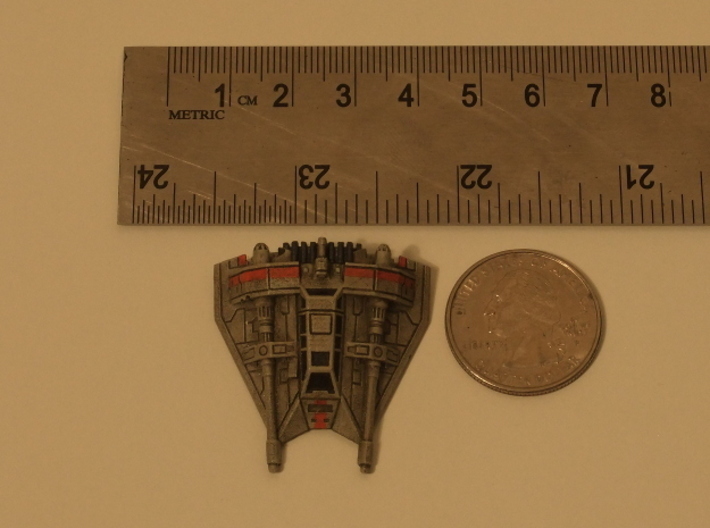 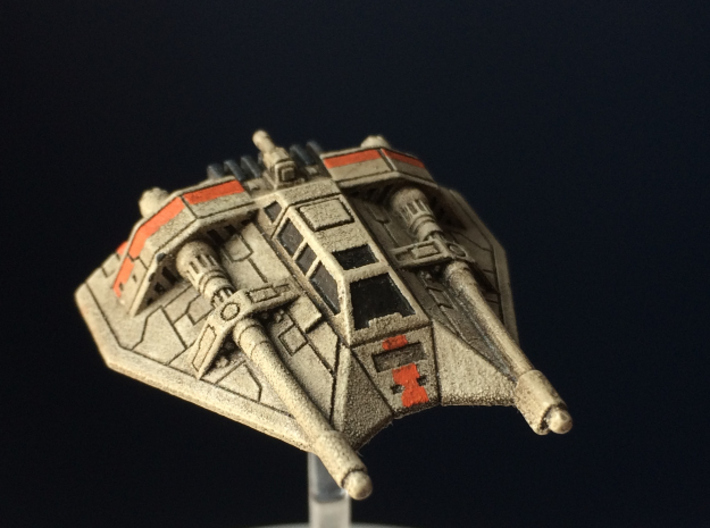 This scale model works perfectly in miniatures games (such as X-Wing Miniatures)! 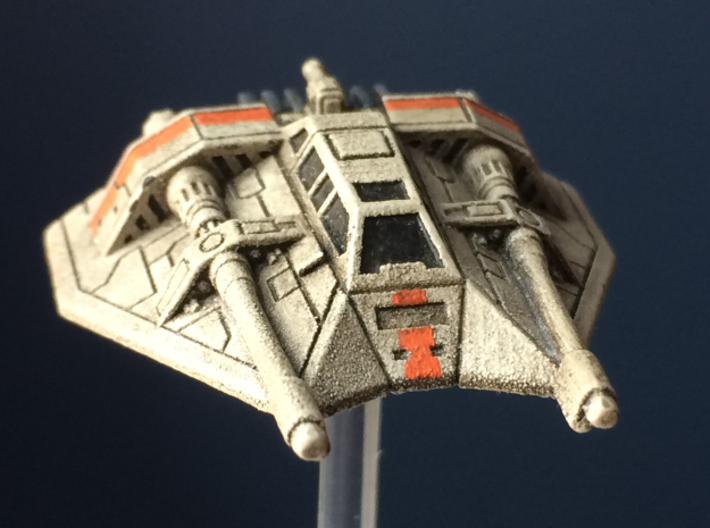 I ordered a print of this model myself and can personally assure that the model prints well...Shapeways does a fantastic job with their Fine Detail prints! 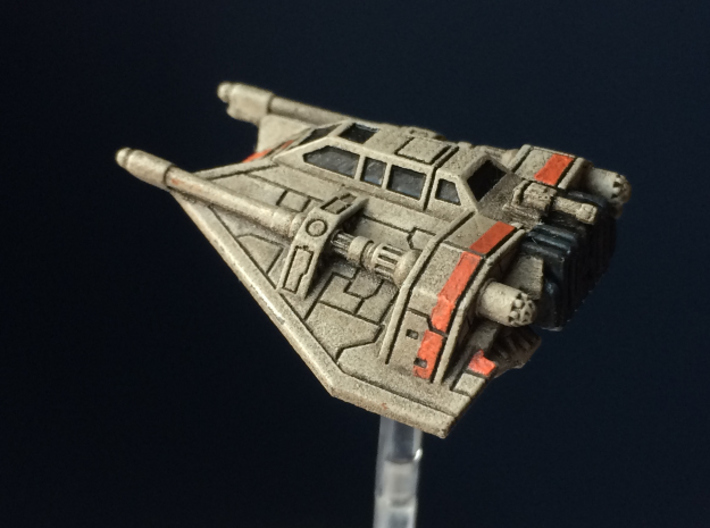 The model paints up nicely (I recommend gently washing with a little soap and a toothbrush first to remove any leftover wax residue from Shapeways printing process), and I think the panel lines in particular show up really nicely with a paint wash, even at this small scale! 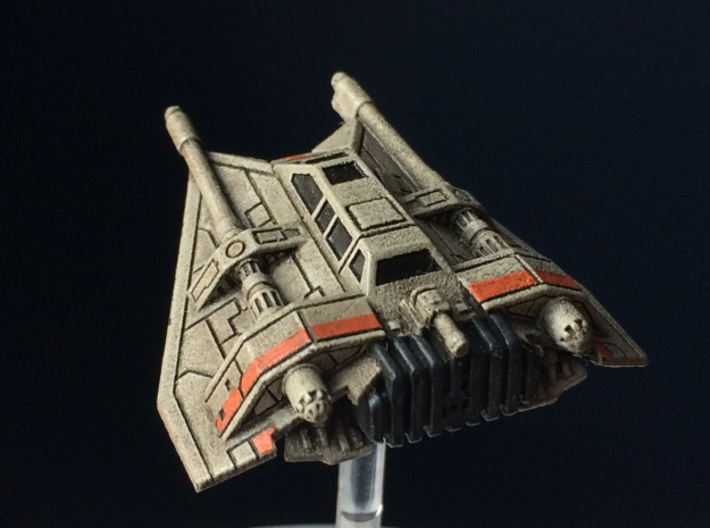 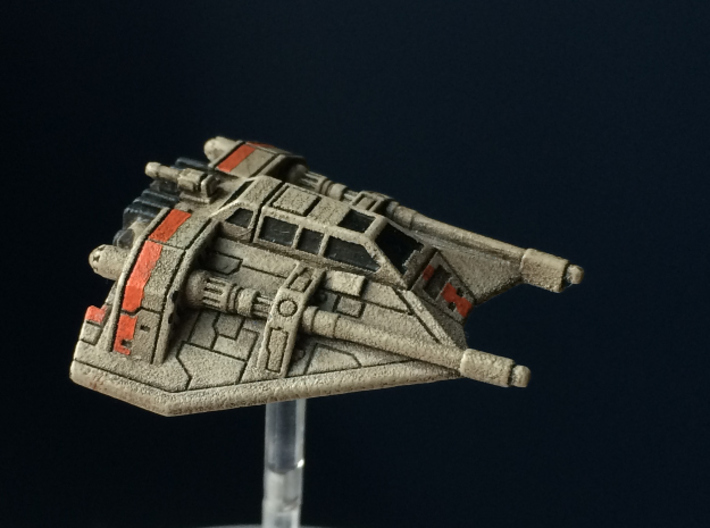 Get your sci-fi speeder model, paint it up if you like, then enjoy displaying it or playing with it!